If your pet is ever sick or injured, or if you are just not sure, call us on Bicester 01869 252077. We offer a full service for examination, diagnosis and treatment. If the problem can be resolved by phone, we are happy to give advice. 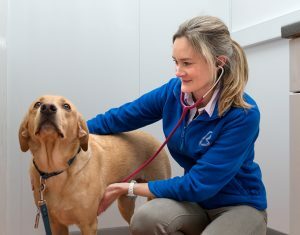 And equally, if your pet needs really specialised help, we have access to a wide range of excellent specialist referral clinics across the country. We have consultations available throughout the day between 9am and 7pm Monday to Friday and from 8.30 to 12.00 on Saturday for your convenience. We trust that we’ll be able to find a consultation time to suit you. If you think your pet needs to be seen out of normal hours then please call on 01869 252077 to speak to the duty nurse who’ll be able to deal with your concerns and arrange an emergency after hours appointment if necessary. Please note that an increased after hours fee usually applies. You may find it useful to read our guide to What is an Emergency.